We took Addison to Children’s Hospital today to get her cast put on from her break on Friday. She broke her arm right above her elbow, which unfortunately meant a whole arm cast. Here’s some pictures of Addie getting her broken wing fixed up. Notice she chose a “hot pink” cast! OH – and I added one I took of Addie and Zach from the night before. Can you tell that these two are brother and sister or what?? Special lunch at Addie’s favorite place (RED ROBIN) before her appointment. Being goofy waiting for the nurse to come back to put the cast on. She was watching VERY intently while Daddy helped the nurse! Just waiting for it to harden before we could leave! So, Addison (little Miss googly eye up the nose) was playing "horsey" with the nanny on Friday morning. And managed to fall off the nanny's back! They came upstairs because Addie was crying ... so I took a look and kissed her boo-boo, but since she could bend it I figured she was OK and was just being overly dramatic with the crying (which is pretty normal, especially for Addison!) But she could bend it so I figured all was OK.
By the afternoon when the nanny gave her a bath, she couldn't take having it touched and couldn't bend her arm back at all. We weren't sure if it was broken, or sprained or what - it was a little swollen and there was a bruise. We decided to put her to bed and see how she felt in the morning. About 10:30 I was in the bathtub and I heard her screaming from her room - I went in there and she was in so much pain ... Sam rushed her to the ER - to find that yes, she did break her arm. I believe Sam told me it is the humerus (?) that she broke (the top part) so she will have a full arm cast. (Poor kid, I told her she'd probably get to pick out a really cool color cast). She's in a "temporary" cast now from the emergency room, but we have to take her to an Orthopedic surgeon on Monday where she'll get the real cast. So despite Zach trying reallllllllly hard to be the first Tramontana with a broken bone (you know by jumping from the top step to the bottom step, flips on the trampoline, jumping off his top bunk, etc.) 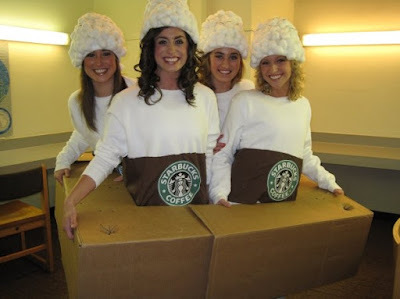 Miss Addison has won that prize. Here's our poor sweetie right after she came home from the hospital (it was like 12:30 AM - and she was so cheerful and talkative, you would have never thought anything was wrong. Then I learned she got some codeine at the hospital!!! Wish her well ... we'll update on Monday after we visit Children's! Umm, am I still in the Windy City? What can you do with googly eyes? 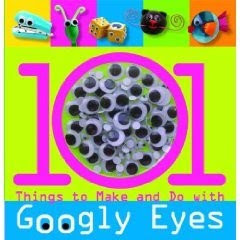 So I'm guessing when they wrote this book, "101 things to make and do with googly eyes" sticking a googly eye up your nose was NOT one of the projects. Will someone please tell that to Addison? Ummm yeah, not so happy here! But Miss Courtney sure did a great job getting him to come around!! Must be nice because I remember having to bite down on those huge circle things with the "film" cutting into your mouth - now they just stand there and the machine goes around him. So the two teeth should be coming out at some point - but since his adult teeth aren't quite ready yet he'll be actually toothless for awhile! He can't wait until they fall out because he's excited for the Toothfairy. Oh, and NO cavities! Yeah!! 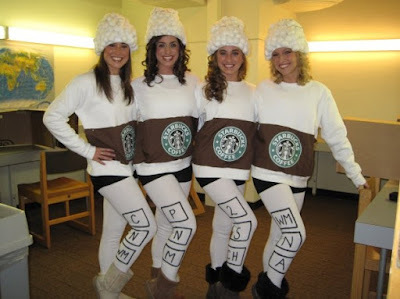 Four Tall Mocha Lattes non-fat with whip ... to go please!